Why Waste is one of New Zealand’s leading Zero Waste Event service providers. Having managed teams of 140 for crowds of over 45,000, our track record speaks to effective leadership and capable delivery. As Tauranga City Council’s preferred Zero Waste provider, we have significant experience with community scale events. We are long term partners with a number of events, including the Tauranga Jazz Festival, Tauranga International Marathon, Lake Taupo Cycle Challenge, ANZAC Day, New Years Eve and as a result have a familiarity with most event sites. Fine tuning our services to apply to all event budgets, we are the only ZW provider in the B.O.P. offering a post-sort approach. 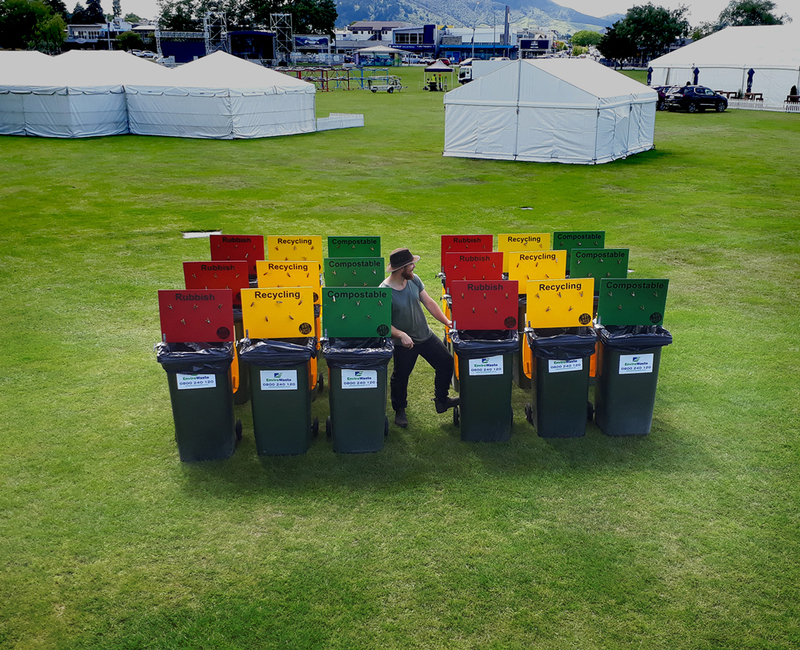 This saves clients on labour costs and improves decontamination assurance by sorting the waste back at base under ideal circumstances..
We are happy to support you in the lead up to your event with council compliance, waste management plans, vendor communications and packaging frameworks. On the day, we work hard to make sure all vendors are compliant, bins are well situated and all waste is captured for processing and data collection. All waste data and diversion rates are reported, alongside our recommendations for future events. Working alongside and collaborating with Kim Renshaw from Beyond the Bin, Marty Hoffart from Waste Watchers and Vincent Callister from Waste Wizards, Why Waste is supported and complemented by a some passionate and gifted specialists in the field.